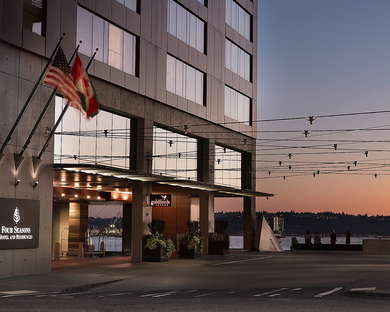 Seattle's Four Seasons location overlooks Elliott Bay and the Puget Sound. From the modern Northwest-inspired design to the posh spa and infinity-edge pool, the hotel, which occupies the first 10 floors of a 21-story residential high-rise, offers an ultra-luxurious Seattle experience. 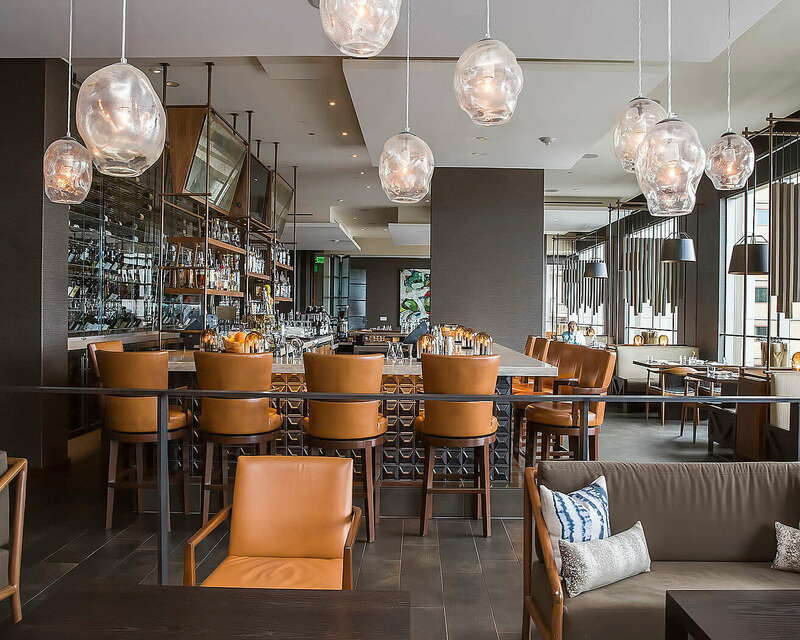 Ask the Four Seasons about its “Experiences" packages, curated outings ranging from outdoor adventures to the Contemporary Glass Art Tour, which includes a visit to world-renowned artist Dale Chihuly’s private Boathouse Studio on Lake Union. 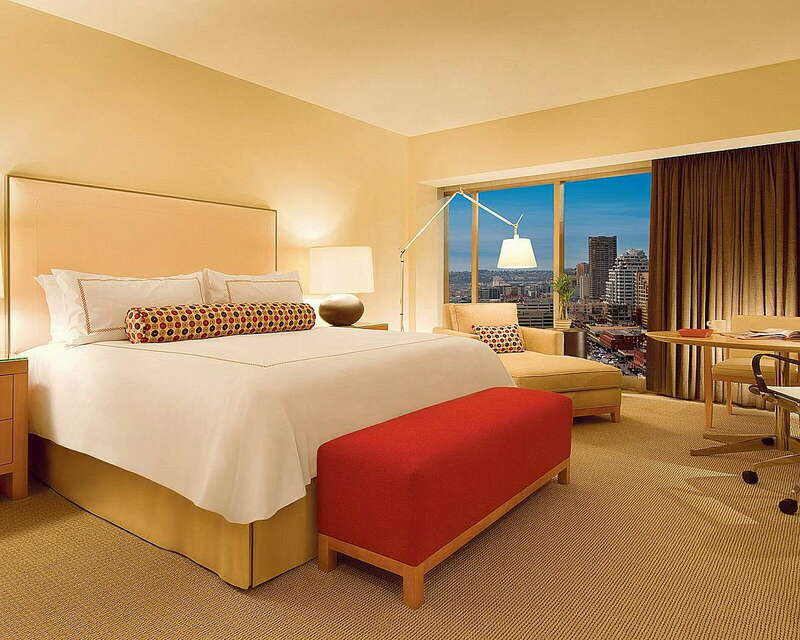 Contemporary yet timeless, the guestrooms feature soft natural hues, striking artwork from Pacific Northwest artists, and light-wood furniture that nods to regional craft traditions and subtle Asian influences. A generous elliptical desk doubles as a table for two, while a sink-in lounge chair is the spot to relax after a long day. 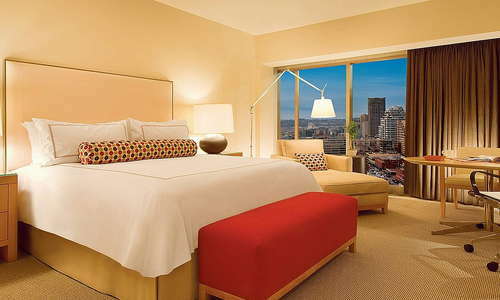 Splurge-worthy view rooms have floor-to-ceiling windows that frame a gorgeous expanse of Elliott Bay. YOU SHOULD KNOW Some of the hotel's water views are marred a bit by historic industrial buildings across the street. 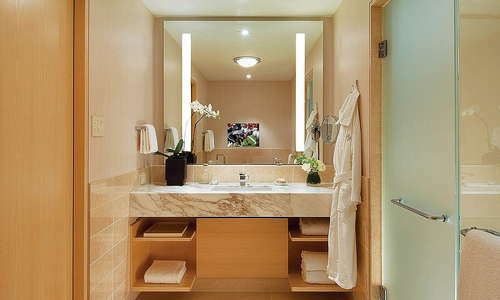 All rooms include spacious marble bathrooms with a separate rain shower and deep soaking tub--a real treat! 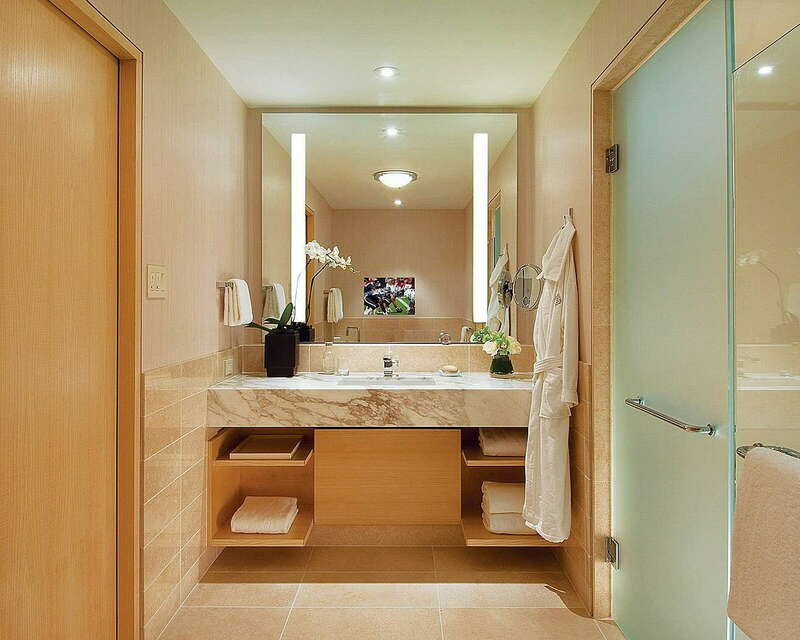 A private water closet is a convenient touch, as is the mirror with an integrated TV. Who doesn't appreciate a mirror with a TV inside of it? 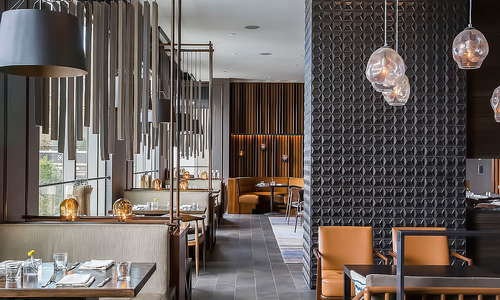 The hotel’s understated side entrance leads to a handsome lobby, which has a distinctly Northwestern vibe, from the mixed-wood paneling to the original artwork. 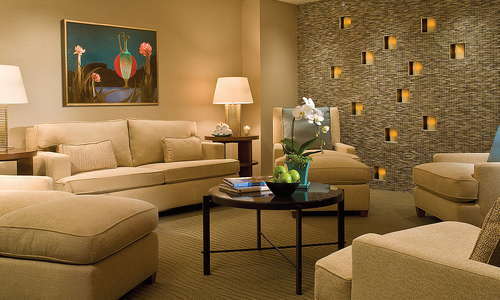 The high-ceilinged space is soothing and softly lit, in contrast to the light-flooded guestrooms. 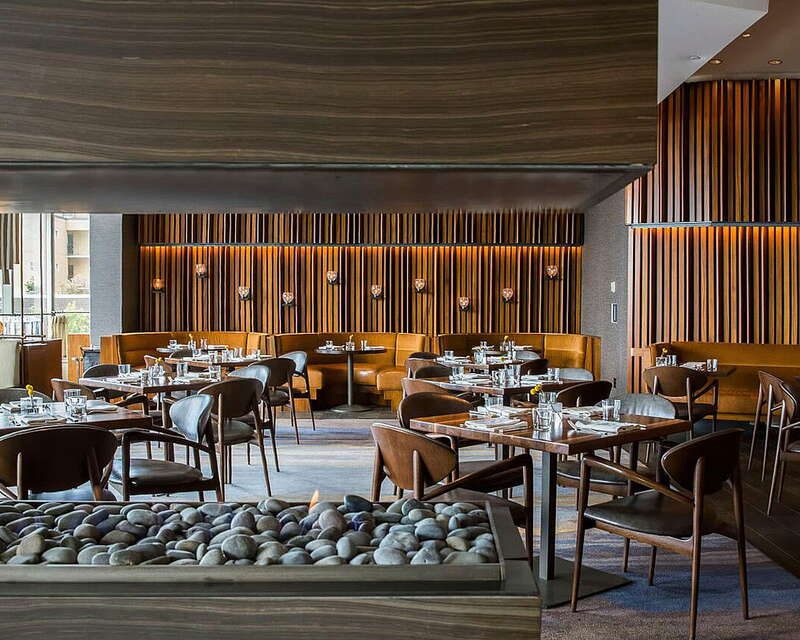 It features a large wall-mounted fireplace and ample seating areas. 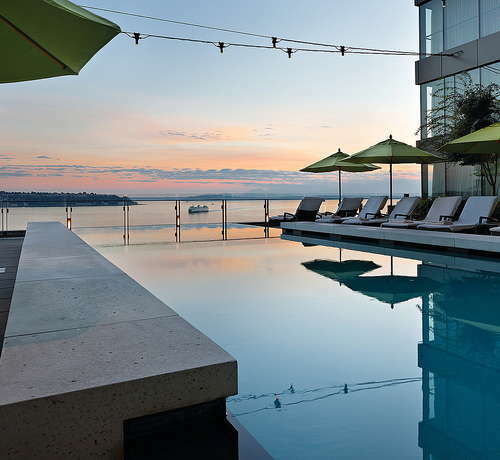 Perched at the end of a fourth-floor terrace, an infinity-edge pool seems to extend straight into glistening Elliott Bay. Classic chaise lounges and green umbrellas line either side. 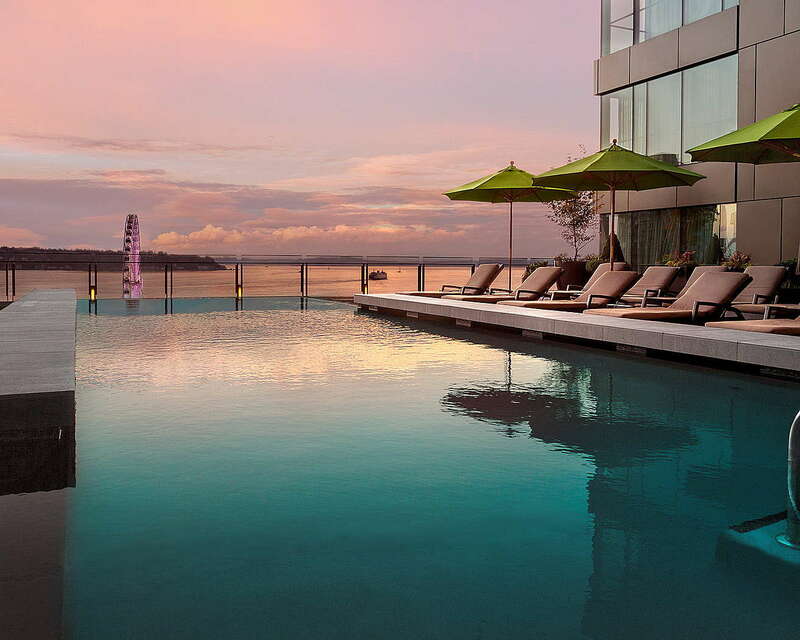 During the summer, the hotel provides lavender-scented chilled towels, frozen grapes and juice, and sunglass cleaning. 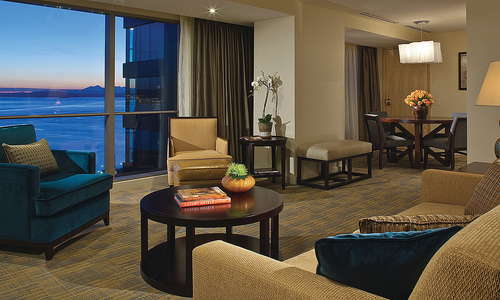 The terrace additionally features a whirlpool spa, a fireplace, and cabana seating with dining and cocktail service. Guests can also indulge in poolside spa treatments during the summer season. 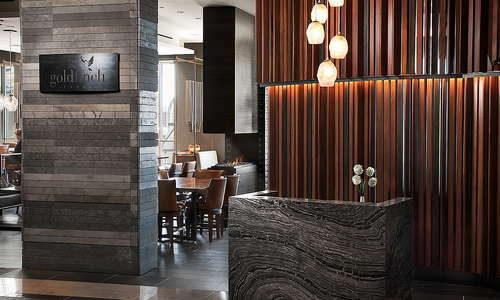 Basalt rock and glass tile nod to the Northwest at this sanctuary-like 6,000-square-foot spa, which features a eucalyptus steam room. 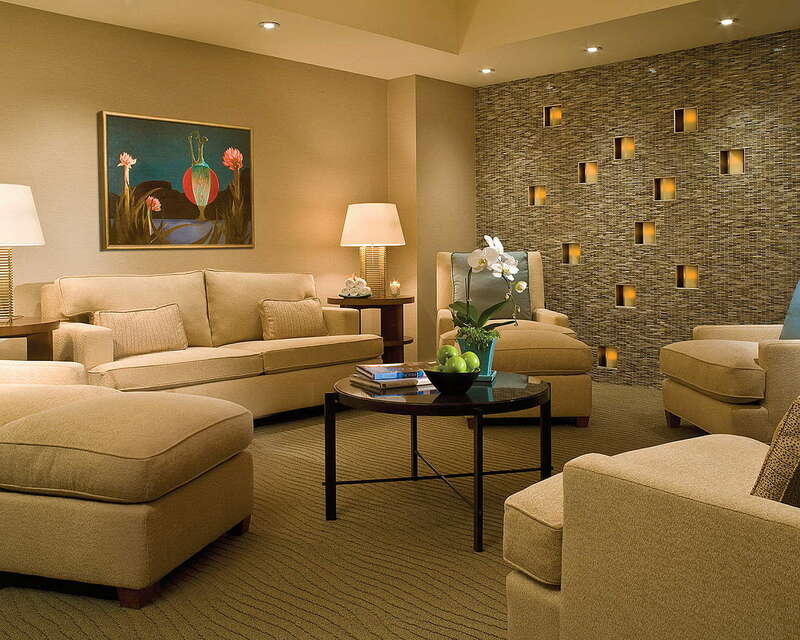 Signature treatments include the Deep Forest Bliss, a massage with balsam fir and white pine-scented body oil, and Emerald Rain, a treatment focused on the alignment of the spine. The 24-hour fitness center is stocked with state-of-the-art cardio machines and free weights. Windows flood the space with light and frame views of Elliott Bay, making it a lot more pleasant to get through that morning workout. The posh locker rooms feature a eucalyptus sauna. 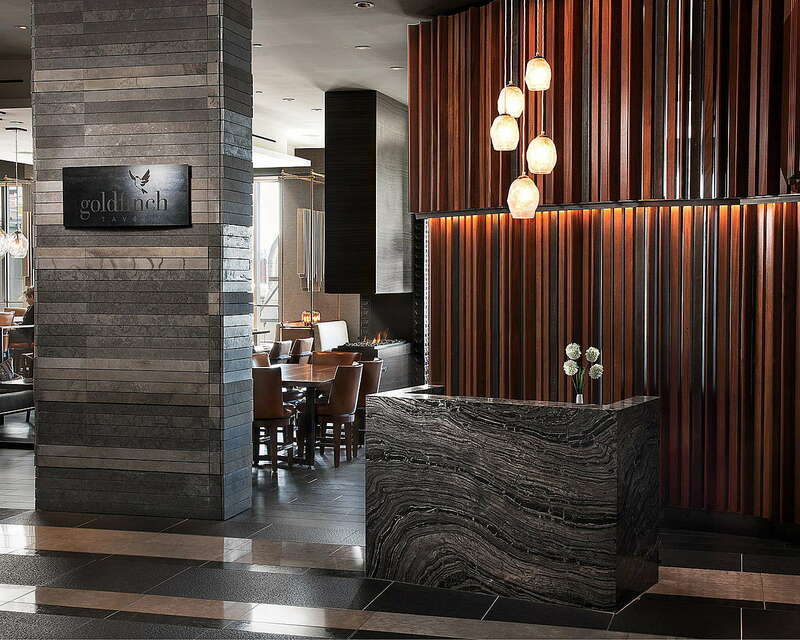 Seattle chef and restaurateur Ethan Stowell is behind Goldfinch Tavern, which serves simple locally-inspired cuisine. Seafood and grilled meats are the stars of the menu; a delicious burger is among the standouts. 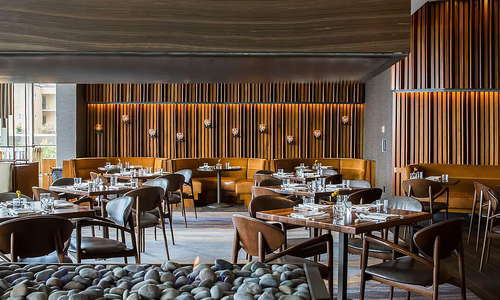 The well-soundproofed space is good-looking, with wood paneling, midcentury-inspired furniture, and fantastic views from the coveted window seats. The bar within Goldfinch Tavern serves up excellent cocktails and nibbles. Don't miss the happy hour. A 10-minute walk gets you to one of Seattle’s main transit hubs. In the vicinity of Westlake Center, you’ll find Link light rail, which connects to the University of Washington, Capitol Hill, and ultimately Sea-Tac; the Monorail, which zips over to Seattle Center; the terminus for the South Lake Union Seattle Streetcar; and a slew of buses that serve every corner of the city. Part of the Four Seasons building, Fran’s Chocolates, a famous local company with a few locations around the city, is a purveyor of exquisite upscale sweets. Try the salted caramels, a favorite of former President Barack Obama, or a creamy hot chocolate. Just across the street, Japonessa Sushi serves creative rolls and sake. 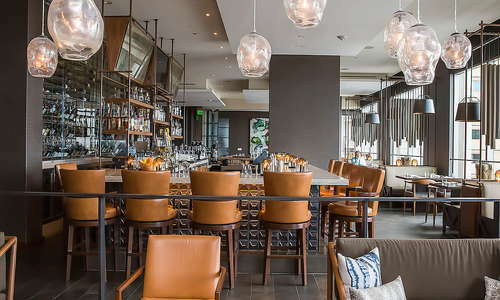 Also nearby, Lescocho (3-minute walk) is a stylish restaurant with seasonal cuisine and homemade sausages on the menu; views of Elliott Bay are a bonus. Pike Place Market, just a block away, also has a lot of food options. The bustling Radiator Whiskey (5-minute walk) in Pike Place Market offers a huge whiskey list and craft cocktails in a rustic-chic space. Tucked below the market in Post Alley, right by Seattle’s famous Gum Wall, the Alibi Room (3-minute walk) is a popular late-night haunt. During the summer, the Thompson Hotel’s rooftop bar, The Nest (6-minute walk), features incredible views and a happening scene. 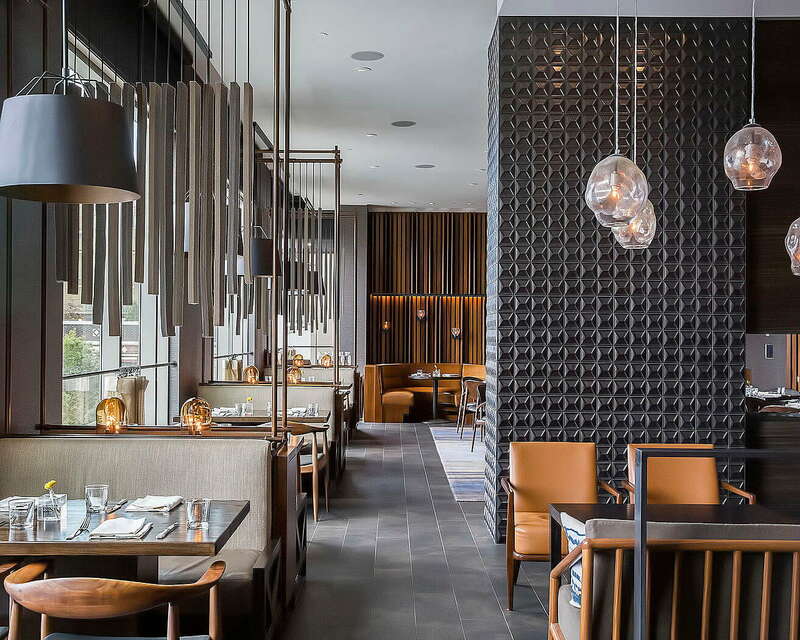 Four Seasons is synonymous with luxury and this Seattle outpost doesn't disappoint, from its elegant modern rooms to its upscale amenities. 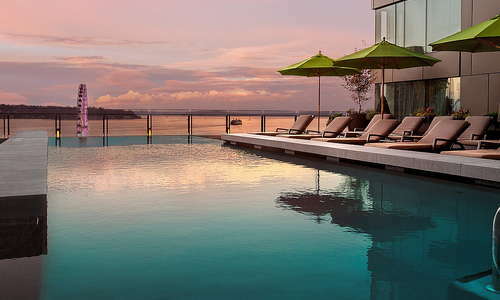 The hotel's infinity-edge rooftop pool is second to none in Seattle, with water and mountain views for miles, and the hotel's posh spa, featuring an extensive menu, makes a worthy splurge. 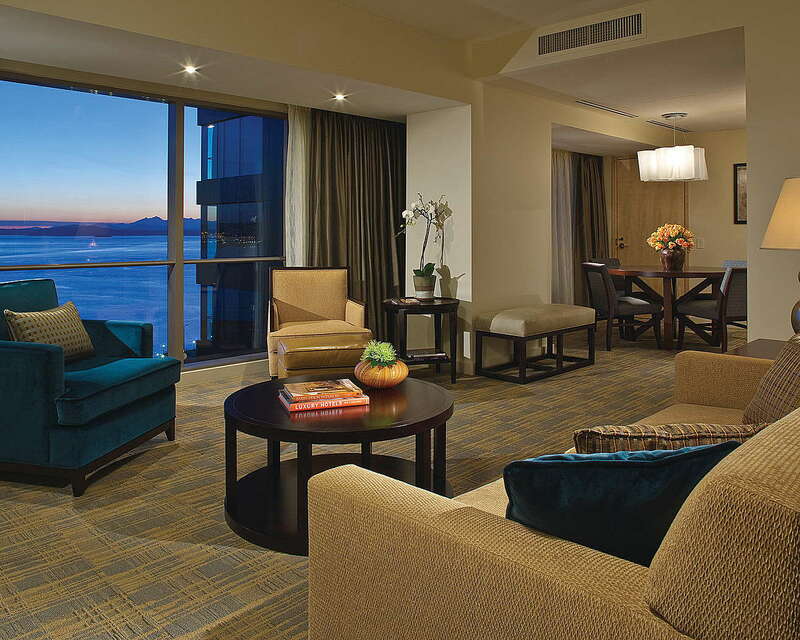 If extravagance is an important part of your travel experience, this might be your place.